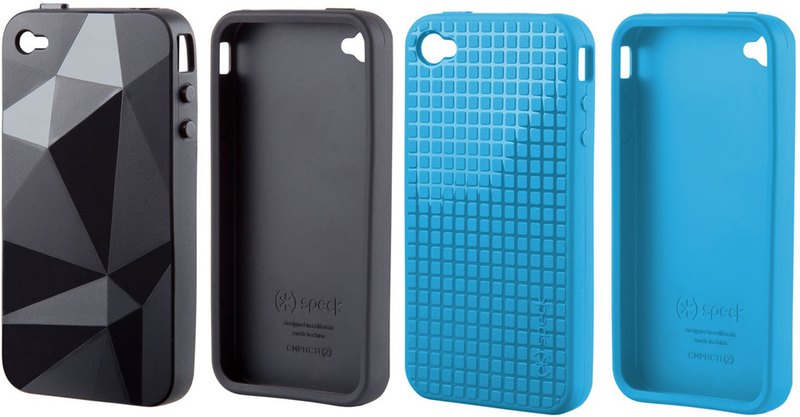 Speck's new line-up of cases for the iPhone 4 include updated versions of the popular CandyShell, PixelSkin and Fitted cases. With that, Speck also created new cases exclusively for the iPhone 4 that include a new PixelSkin HD (seen above on the right), which is very similar to the regular PixelSkin except the HD version had more pixels in it's design pattern. Another new iPhone 4 case is the GeoMetric, which is a Thermoplastic case with shiny and matte textures. The new Pixel Skin HD will be available in early July with a price tag of $29.95, and the new GeoMetric will be available in mid-late July with a price tag of $29.95. For more info and colors, hit up the source link below.